Ultimate World Tour. 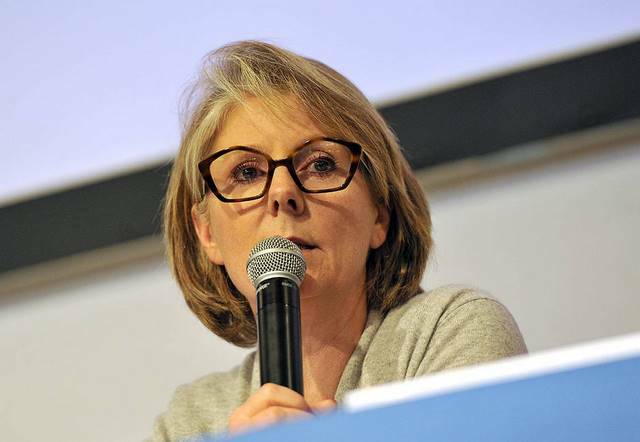 Patricia Brochard: "No way to compete with the Vendée Globe"
President of the Ultim Class 32/23, behind the creation of Brest Oceans, whose departure in December 2019 has just been postponed, explains to Ouest-France what led to this decision. And opens the door to a postponement in 2021. Patricia Brochard, how has the Brest Oceans decision-making process come to fruition? We exchanged between us, owners of the Ultimate, to know if everyone felt ready for a solo world tour in 2019, or not? If everyone, at that time, would have a platform or ace. If it would be reliable, or not? Then there was Monday, a meeting with the skippers themselves and their technical teams, even if there had been, since the return of the Route du Rhum trade fed. There, it was more formalized, and it seemed important that everyone be around the table and hear the arguments of each other. The purpose of this meeting was also to understand what had happened, to get a little naked, and to say things that are usually kept secret. Let everyone be aware of the beginnings of explanation, in order to make the platforms more reliable in a solo world tour. Some could feel ready, but were they totally serene, or do they prefer to work a little more on this reliability? And the answer was pretty clear. And then, we also exchanged much with the City of Brest for which this postponement has consequences, of course. Was there unanimity, or did some want to start in 2019? Some owners, even some skippers, have said: I'm ready, but it's obvious that I'm not going to race alone. There is also the general interest that must be preserved. We are a class now, but we were before a collective, and it is in this spirit that we worked. Of course we have an individual look at each of our projects, but we also had to take into account the general interest of this class. What are the arguments that made it possible to shift the reflection towards the decision of the postponement? The small number of boats present, or the uncertainty as to the reliability of the boats even at the end of 2019? Both. Indeed, launching a race with few boats is complicated. Because one wonders how many boats would be on arrival, perhaps only one, because a world tour is never trivial. But, beyond that, the problem of the reliability of the boats is added. The two concerns come together. Yes, the new Sodebo V, Edmond de Rothschild if he had confirmed his participation, the future Actual, and Macif. Sodebo V was to be launched in February. These are obviously questions that would be silly not to ask. We had, before, a return of the architects, to ask, what that leads to the different boats, and, in particular, for Sodebo, of which a part was built in the molds of Banque Populaire. The answer is of course to think about possibly secure a little more and strengthen them. Yes, for our project, Sodebo V (under construction at Multiplast in Vannes), this required the team to work intensively for reliability. But there was our interest and the general interest. So when a schedule is decided for a program, we can not say "we are late and we are not going". This is not possible. It is true that, depending on this need for additional reinforcement and rethinking the calculations, it would have again forced the team to accelerate, Thomas to navigate a lot in this shorter period of time, and in all conditions. The fact that there is this postponement, I will not say the opposite, it is necessarily interesting. You're right, it was not something simple. Because some could think to have a time ahead of others. But here we did not talk about performance, but about reliability. And this collective intelligence was very present. I was not there at this meeting, but Thomas gave me an account, and he was delighted with everyone's humility, his willingness to share and open his notebooks. It was not a usual attitude, but it is clear that what we have been putting in place for a few years is beginning to bear fruit. The race is postponed, when will you communicate on a new date? We gave ourselves until the end of January to study the various scenarios , and to position ourselves in the context of a collective interest, and of course individual interest. And we need a little more time. And we must not rush either, because we could miss some parameters that we forget to evaluate. In any case we evaluate all opportunities, and it is true that Sodebo is also a major partner of the Vendée Globe, but beyond that, we reason in terms of the general interest of sailing. For example, if we had chosen the date of December 20, 2019, and not November, it is because we had taken into account the departure of the Transat Jacques Vabre 2019, October 27, and that we did not want to be in direct confrontation. The rules we have set ourselves, within the class are to be in good agreement with all the races that exist today. Obviously, therefore, that we will take the Vendée Globe into account. So it can not happen in 2020, but at least in 2021? If, indeed, the fact of being in front of the Vendée Globe, leads us to say that it is not possible, the date that will follow, it will indeed be from 2021, obviously. 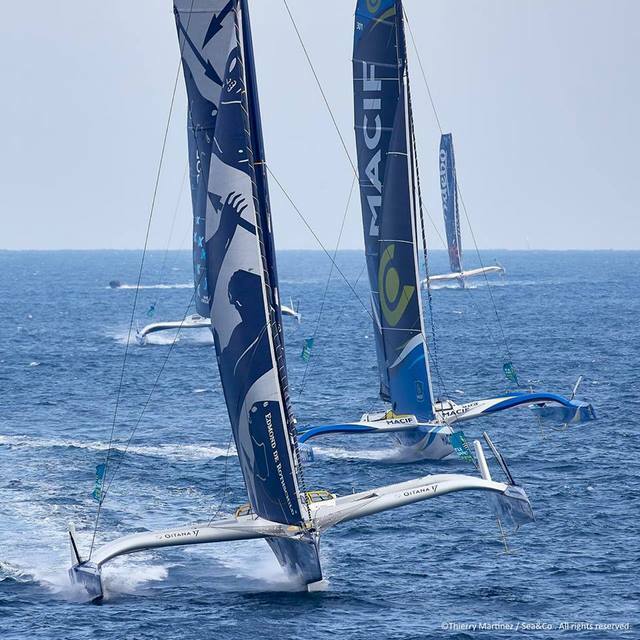 For this year, the race calendar in the Ultimate, without Lorient-Bermuda, and Brest Oceans, is suddenly very poor. Can we imagine a return of the Ultimate on the transat Jacques-Vabre? By the end of January, we will work again on the whole program of the circuit, and not only on the world tour. And everything is connected. Will this postponement also allow the emergence of new projects? In any case, it will give more time to those who would like to do it. It is a time that is complex, but at the same time, it can be an evil for a good. And it must be taken as a period that can open new opportunities. The launch of Sodebo V was to take place in February, will it be offset? That's what was planned. But it is possible that it is a little off, according to the reflections in progress, and reinforcements to predict possibly. But, it's a little too early to say, because our reflections are not completed. Especially since we are not fifteen days or a month away now.